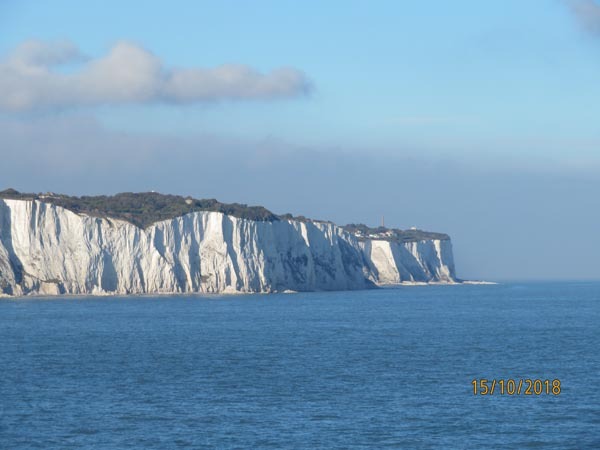 For me personally, it was difficult to avoid the symbolism, but just as Mrs May was addressing the Commons on the abortive Brexit negotiations, I was watching the white cliffs of Dover recede into the distance, under a blazing autumnal sun which made her words even more unreal. But there was no need to rest with the perception that the prime minister's words were unreal. By any measure, they were beamed down from another planet, lacking corporeal form and unable to exist in this atmosphere. And despite that, and all the background that goes with it, she stands up in the Commons and declares: "I continue to believe that a negotiated deal is the best outcome for the UK and for the European Union. She then tells us that she continues to believe that such a deal is achievable, and that is the spirit in which she will continue to work with our European partners, then burbling somewhere in between about the EU wanting a backstop to a backstop. The media, however, are not much better, with the Guardian suggesting that Mrs May faces "a frantic 48 hours" to try to save her Brexit negotiating strategy. The paper has it that the prime minister is expected to plead with EU leaders to drop their Irish backstop proposal "at a make-or-break summit dinner on Wednesday night after seeking the support of members of her cabinet on Tuesday morning". As it stands, there is nothing to be gained from further speculation. We are where we are, and there will be no change, even if we invent an entirely new scenario that cannot and will not happen.